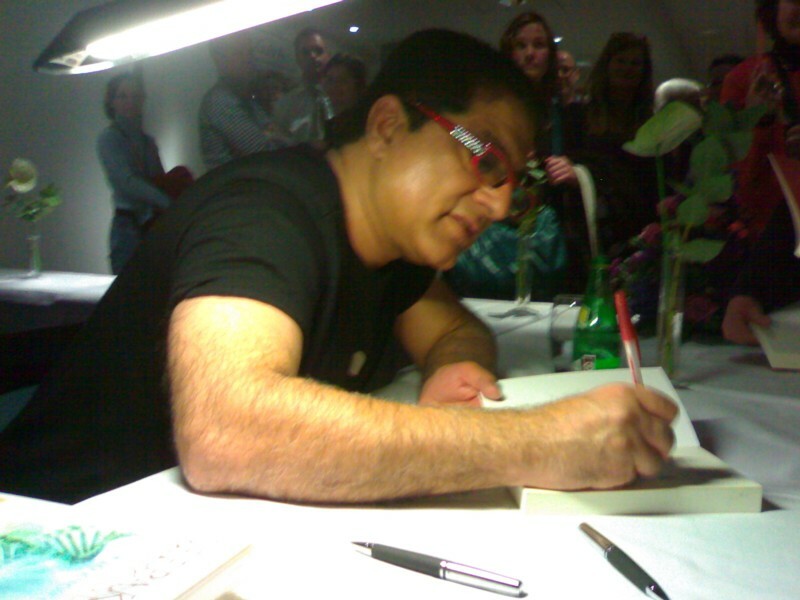 I can’t remember exactly when I first learned about Deepak Chopra but over the past couple of years, I’ve become more and more inspired by his views, music and voice. He is simply a great teacher and philosopher. 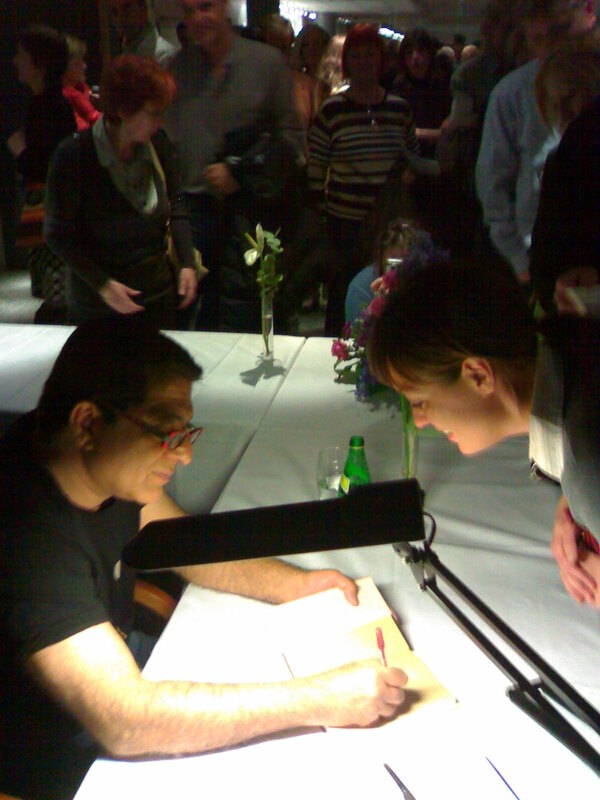 Last night I had the opportunity to see Deepak speak in Copenhagen and hear him speak about the “nature of human consciousness.” I also had the chance to get my book signed, which was very exciting, as well as give him a very solid hand shake. As for the speech, he covered a lot of ground. 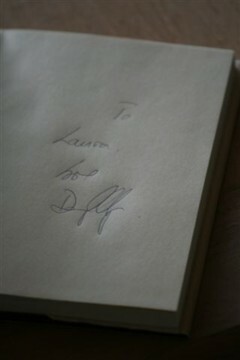 His main message was about consciousness existing in discontinuity. He spoke about the difference between happiness in ignorance versus happiness in enlightenment, the law of impermanence, Nirvana being the ultimate reality, Quantum leaps of creativity, meta-biological evolution, the non-local domain, synchronicity, hidden dimensions, and the realm of the unmanifest. One of the things he mentioned that was a big take-away for me was that while he was researching for an upcoming book he explored the habits of some of the world’s great leaders and learned that they each sit in silence for at least five minutes every day. He said that how people see things or perceive things makes up about 80% of what determines their happiness and that less than 8% is determined by a person’s conditions for their life. A video about the initiative can be seen HERE. 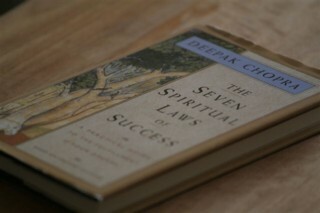 And if you are interested in learning more about Deepak, visit his blog at www.deepakchopra.com or the site of the Chopra Center of Wellbeing. I saw a little bit of myself in one of Deepak’s Secrets to Enlightenment, which was that “we live in multi-dimensions.” I swear I can be in 10 places at the same time! It’s what he describes as observations coming and going, having a “there goes my body but here I am” kind of state, synchronicity, spontaneous self-fulfillment of desire, the realm of miracles, experience of immortality or feeling of/being in love. The key is to stay grounded in this state and in the body while tuning in to this realm of unlimited possibilities. Finally, it was simply an honor to shake the hand of a person that has provided me with such a great amount of inspiration and to tell him that in person. What a great story and good photos Laura! I wish I could have gone too. If you hear of other interesting people coming to Copenhagen, let me know! What’s new in the international efforts for Peace and NonViolence promoted or introduced to the G8 and/or mid-east? You have such a great CV, BoD of USIP, now in Denmark – origin of many Peace efforts.